Transforming outdoor basketball courts into playable works of art. 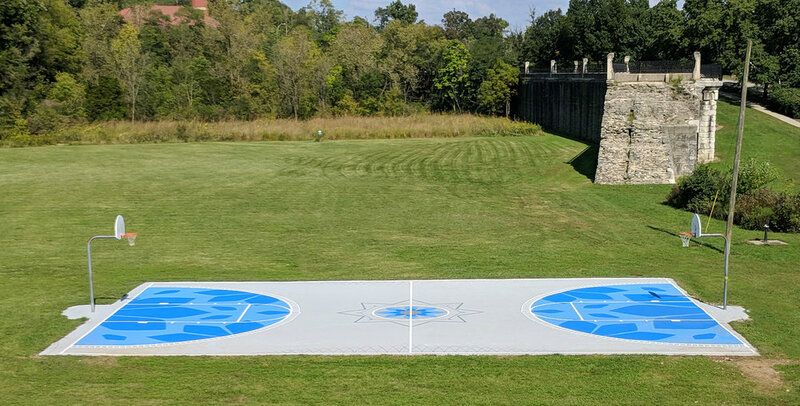 Courts of Art aims to find outdoor basketball courts that are in need of a little attention and make them over, transforming not only the playing experience for those that use the court but also the visual experience as well. The court not only gets an upgrade with cracks being filled in or lines drawn as examples, but it also comes to life as we turn the court into a canvas and a playable work of art. We're a collection of people who want to do good in Cincinnati. To transform a neighborhood in an unexpected way. To use basketball as a way to bring community together. Let's create something unique... a court that brings to life what the community is all about... that is transformed in a way that allows the game of basketball to come to life at the same time the surrounding neighborhood is doing the same. Our first pick was Eden Park in Cincinnati, OH. We felt growing pains during the entire process, but the transformation in the end makes this a go-to court for anyone ready to play.